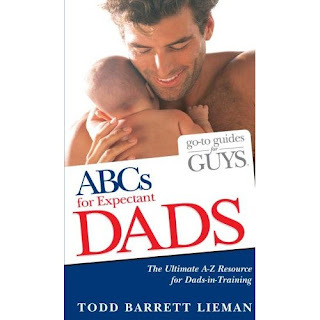 I would give the book to an expectant Dad at our expo, The Baby Bonanza and Kid's Expo. would love it for my husband! I would love it for my husband. I keep him up-to-date on what I'm reading, but I know he'd appreciate something more geared to him. I'm a new (13 weeks) expectant dad, so this book would be for me! My husband and I are trying to conceive but he's super scared because he feels like he doesn't know anything (and we don't)! This book would really help! Thanks for the giveaway! I'm a 10 weeks expectant mom and would love to offer this book to the expectant dad (my fiance). I'd give the book to my husband. I've been doing a lot of reading, but he hasn't! I would totally give this to myself. We're at 16 weeks, so it's just starting to feel real to me! my husband NEEDS this book. like seriously NEEDS it. I would give this to my neighbor who just found out he is going to be a dad. I'd give this book to my husband who doesn't know we are pregnant again. I haven't told him yet because he took it hard when we miscarried and i want to do to the doctor's first. oh i forgot my email. I'll repost! I'd give this to my husband!! We are 19 weeks and just found out we are having a boy!! I would give this book to my husband. We are 12 weeks pregnant and he has been so great so far, but I know he has questions that he is afraid to voice. This would be a great resource for him!